How can we heal a Broken Heart? Why is there such a term called ‘broken heart’ when we fall short on our capacity to love? Actually, I don’t know exactly why it is named in this kind of term. I only know that the anguish we felt after falling short with our capacity to love is called ‘broken heart’ because we experience it and we cannot name exactly the pain that we felt inside. Simply put, words cannot truly define what it is. For me, it doesn’t matter if that experience is named or coined with that term. My only hesitation about that factual experience is this; how can we heal a broken heart? There are cure for wounds; there are also medicine for variety of diseases that brings wellness, but for a broken heart, what is the better remedy for it? To be broken hearted is really a miserable experience. You will really feel that your heart is being torned apart. You’re even crying without any reason at all. You’re stunned and in despair of something that is hard to understand and explain. And, this kind of feeling does not last; it always haunts you whenever the embarrassing moments of the past popped-up into your mind in certain instances or circumstances. Why this kind of experience is an inevitable and a prevalent reality in our life as a person who has the capacity to love? Why does love has a demarcation line called ‘broken heartedness’ that which obstruct, distract, and even destruct the sincerity of our hearts who persevere to be authentic in loving? I don’t know if it is the force of nature that allows this reality to exists, but I am pretty sure that it has wisdom behind it. We cannot totally grasp the demands and standards of love unless we sometimes let our hearts to be broken. 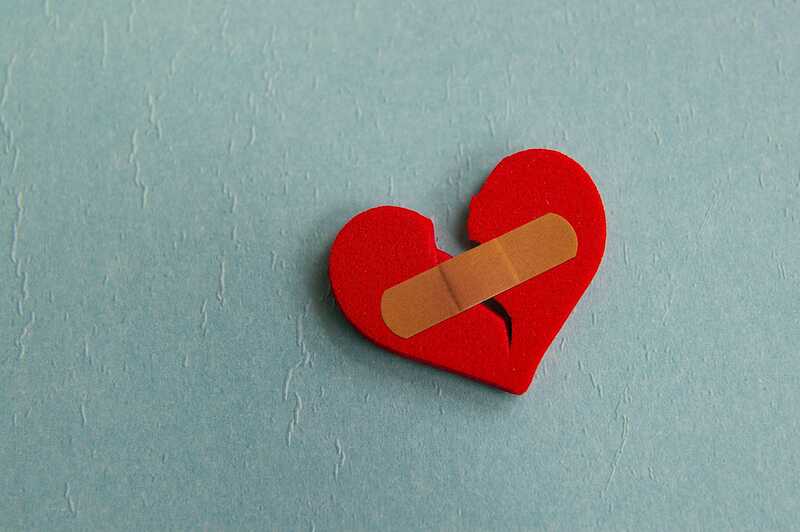 How can we heal a broken heart? There’s no prescribe medicine for this malignant disability except ACCEPTANCE, LETTING GO, and MOVING ON. These three formulas for starting a new journey to love are still the best remedy for a torned heart up to now. At first, it’s hard to apply these formulas for they demand attention, sacrifice, and a certain attitude of optimism. But, as we abide ourselves with it, it’s easy to say deep within our hearts; “Life must go on.” To be broken hearted is a never-ending story, but it is part of the many consequences if we do our best to love sincerely, truthfully, and faithfully. Yes, we cry because it’s hard to accept the pain of being a broken hearted individual. But, it is not yet the end of the world in persevering and being persistent in loving sincerely, truthfully, and faithfully. All we need to do is to follow the three basic formula in starting to love all over again, i.e. ACCPETANCE, LETTING GO, and MOVING ON. ACCEPT the fact that we fall short sometimes in loving. LET GO when it is not getting okay anymore especially when you keep on striving and persevering in loving which if we look on the bigger picture nothing happens. Lastly, MOVE ON and forget with humility the love and affection that you rendered if it is just wasted for nothing.